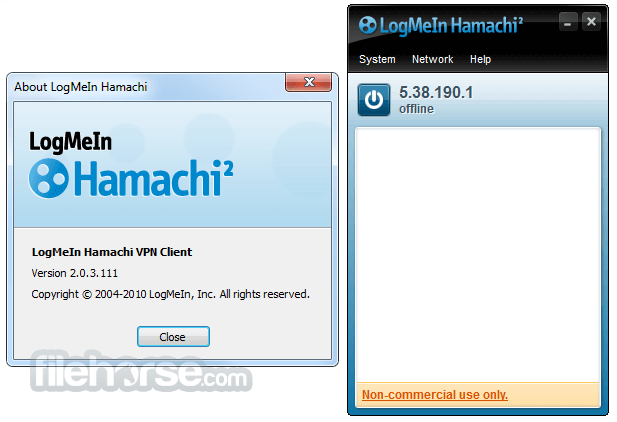 LogMeIn Hamachi is a hosted VPN service that securely connects devices and networks, extending LAN-like network connectivity to mobile users, distributed teams and business applications. You can easily create secure virtual networks on demand, across public and private networks. Hamachi is managed and maintained from anywhere via the web, securely. Remotely network printers, cameras, gaming consoles and more, on demand and over the web. 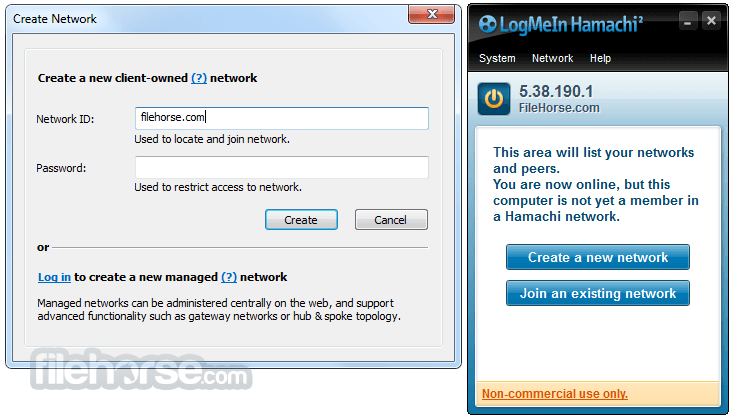 Provide remote users with secure access to your private network/LAN, including the resources on it, from a centralized LogMeIn Hamachi gateway, without modifying firewalls or network routers. Provide remote users with secure access to specific computers on your network, from any location, without modifying firewalls or network routers. You can trust secure communications using 256-bit SSL encryption, over public and private networks. Quickly and easily dispatch virtual network client software to new computers remotely. Simply send end users a link to download and install the client to participate in a specific virtual network. 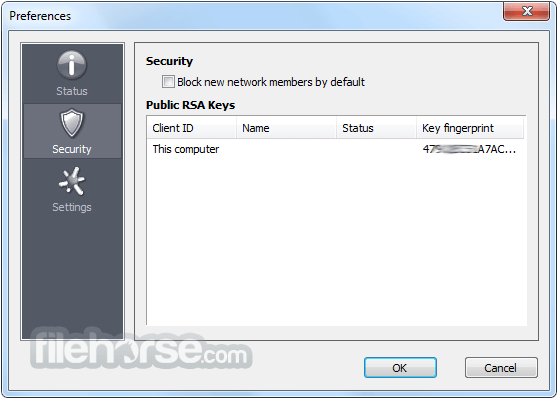 Set default settings for individual networks and clients, with support for full, restricted and minimal client interface modes. 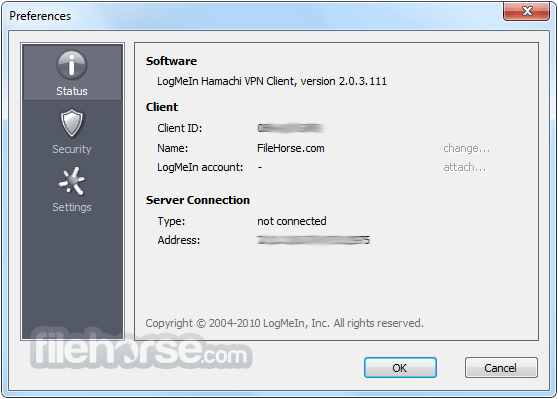 Up to 256 clients per LogMeIn ID. Note: Free to try, limited functionality. The free subscription allows you to have only 5 members in a network.